Street art is the most liberal and freedom tribune to publish personal opinion. It’s a media without censorship, sham and advertisement. It is a special language, which the team of SCI learned to read and write. 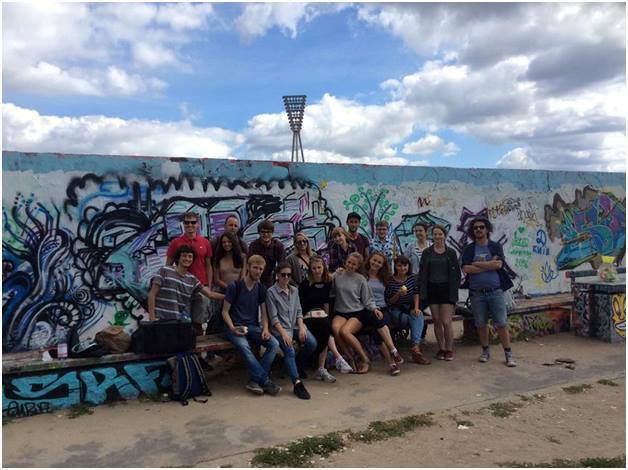 The place for our workshop was part of Berliner Wall that is 30m in length in Mauerpark. 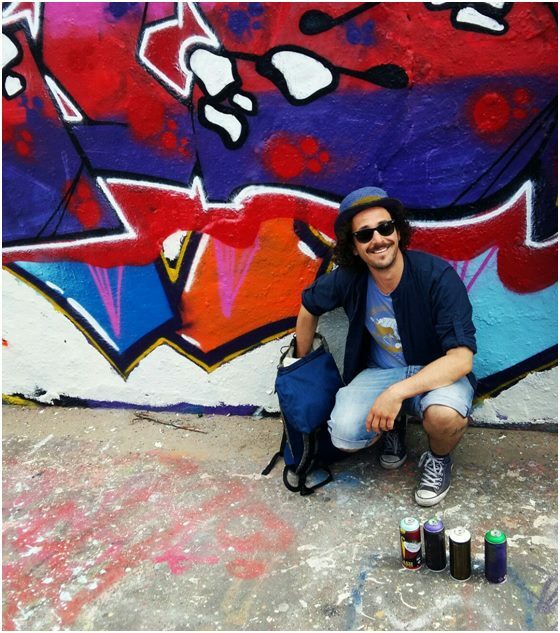 We have made there graffiti under the leadership of experienced street artist Barack Moyal, with whom we explored a lot of curious things. Before using the sprays and our imagination we were told the history of the pieces of Wall and the space nearby. Colorful Wall is a kind of protest to restrictions and barriers. It dictates the style of the whole Mauerpark, so we especially tried to keep the trend. Barack Moyal explained to us how we can do shapes and forms with a spray, but also explained about the types of caps and paints, gave us some initial ideas so we have started to create our first small masterpiece. On the Wall there is no free space, it has several layers of paint corresponding to the numerous number of paintings. Now «Death Strip» which was standing along the wall (it was an area with restricted access, where every unauthorized entrance could be punished by death) is a place of freedom of expression and pastime. On the weekend, it is a popular place among youth with a flea market, bowlers, amateur football and basketball players, jugglers and musicians as well as karaoke enthusiasts. But the main attraction is the Wall where artists from all over the world create artworks and which is opened for everyone. You mustn’t miss the chance to leave your trace on the great Berlin Wall!